1480 East Rodney French Blvd. 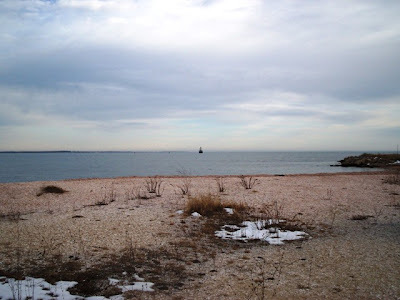 Mom and I had been to Davy's Locker only once before, and really enjoyed it. Since we were in a seafood mood, we decided to visit again in hopes of having another great meal - and we did. We pulled into the tight parking area at around 4:15 p.m. When we last visited, there was a giant old Ferris wheel in the parking lot. I was sad to see that it had gone, but enjoyed checking out the view of the lighthouse on my way into the restaurant. Once inside, we were quickly greeted by a waitress who took us to a table by the windows. She left us with two rather large menus, which were a bit confusing to read with all of the papers taped inside and the many different pages. Perhaps they should invest on something a little neater. We hadn't even seen the dinner selections until we got to the very end. Our waiter, Jeff, came over to introduce himself and take our drink order. Both Mom and I ordered our usual diet colas ($3.18 for the two). When Jeff returned to take our order, it was hard for us to choose just one thing. Everything sounded so good! 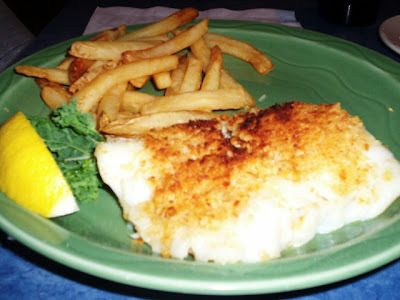 Mom settled on broiled scrod ($13.99) while I chose the scrod Florentine ($14.99). Both came with a potato and vegetable, and we opted for fries and cole slaw. After taking our order, Jeff returned to the table with two delicious rolls and a basket of butter packets. They were warm and delicious. Davy's Locker has a real nautical atmosphere. For some reason I always feel like I'm dining at the bottom of a ship. There are several large fish tanks throughout the restaurant, which is painted a very pale shade of blue. There used to be small sharks in the largest tank, but we were too far away to see if they were still swimming around. The restaurant is quite clean for being so busy, and the low ceilings and candlelit tables make for a very cozy dining experience. The only thing that we saw out of place was - believe it or not - the hostess. She was dressed in a backless/frontless-type dress that was a bit too glam for a family restaurant. It was just a bit odd to see someone in that type of ensemble working along side a uniformed wait staff. We hadn't been waiting long when we spotted Jeff coming over with our meals. Everything was served piping hot, and each plate looked great. Mom's meal was - in her words - fish perfection! It was a very healthy portion of beautiful white, flaky cod with a nice buttery crumb topping. The fish was cooked perfectly, and ranks right up there with one of the best pieces of fish that Mom has ever had. She could have done without the sides and just concentrated on the scrod, although we both liked the fact that the sides were small. Mom was very happy with this meal. My scrod Florentine was excellent. 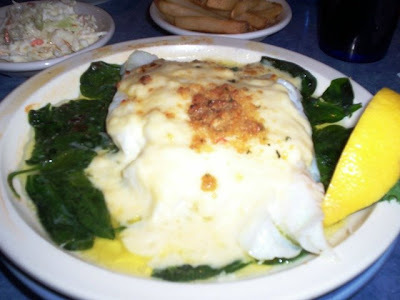 Served on a bed of baby spinach, the white scrod was topped with a thin layer of cheese and a dash of wine sauce. I was nervous about the fish having too much cheese on it, but that was not the case. The flavor combination was mouth-watering, and the fish was cooked perfectly. I didn't even have to use my knife; it just fell apart. My fries and cole slaw were also tasty. It was very filling and well worth the price. We left $40 on the table for Jeff, which included a 20% tip for his great service. As we left the restaurant, we admired the wall of water that they have when you first step through the door. It really sets the mood for dining at a seafood restaurant. We have now been to Davy's Locker twice, and both times have been very successful. 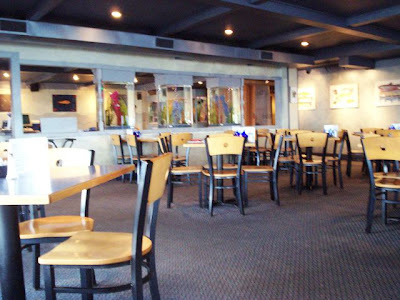 The wait staff is great, the food is delicious, and the atmosphere is very oceanic. Mom and I hope to visit again soon, and this time we're getting dessert. After all, they carry cheesecake from The Cheesecake Factory. Can't go wrong with that! 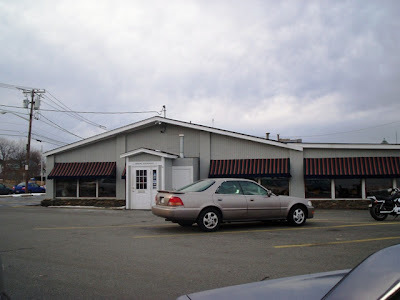 Davy's Locker is open from 11:30 a.m. to 9 p.m. Sunday through Thursday, and 11:30 a.m. to 10 p.m. Friday and Saturday.